Bleeding gums are something many people notice when they brush their teeth vigorously or when they floss. Although many think this is normal, it is a sign of problems. Healthy gums rarely bleed. Bleeding gums can be a symptom of gingivitis, a mild form of gum disease, or more serious gum disease known as periodontitis. Gum disease is caused by bacteria which grow on teeth. Together with various food waste products the bacteria form plaque, a sticky film that collects on teeth, especially around the gums. Your gums attach to the teeth lower than the edge of the the visible gumline, leavinga small space where food debris can remain. Gingivitis is a mild form of gum disease which occurs when the plaque irritates the gums, causing a superficial gum infection. The symptoms of gingivitis are swelling, redness and irritation of the gums. Your gums may be red and puffy instead of pink and firm, and you may have bad breath. They may be tender and may be receding. There isn't any pain at this stage, but your gums may bleed when you brush or floss your teeth. Periodontitis happens when gingivitis progresses to a more serious infection in which chronic inflammation causes a separation of gums from teeth, leaving pockets which fill with bacteria, plaque and tartar (hardened plaque). If left, these deepen and lead to a loss of tissue and bone. Teeth become loose, move around and may fall out. The early stages of these problems are usually quite painless, with bleeding the only clue. Gum disease is common and can be prevented only by cleaning the teeth very carefully at least twice a day. In addition, you should floss your teeth daily and schedule regular appointments with your dentist so that gingivitis can be identified early and reversed. Plaque forms on a daily basis, which is why it must be removed daily by brushing and flossing. If it is not removed, it hardens under the gumline and forms tartar or calculus, which is a hard yellowish brown deposit that only a dentist can remove. Mild gum disease may be reversed by maintaining good oral hygiene - brushing twice a day and flossing once a day. But, once the infection is established it may be necessary to have teeth cleaned by a dentist or periodontist who will use special instruments to remove the plaque, which, when it hardens, is also referred to as calculus, scale or tartar. 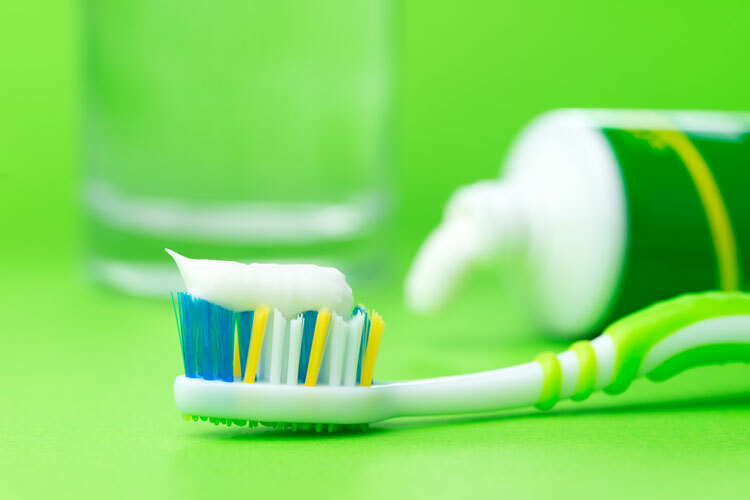 Unfortunately, simple brushing with toothpaste or flossing will not remove these hard deposits. Other things can cause bleeding from the gums. It is quite common in people taking aspirin or other drugs, such as warfarin, which ‘thin’ the blood. Other medicines may indirectly cause bleeding gums. Some viral or bacterial infections may cause bleeding gums and also some systemic conditions like lupus erythematosus. Bleeding when brushing your teeth should never be regarded as normal, any more than bleeding from the scalp with hair brushing should be. 1. Mayo Clinic. Gingivitis. (Last reviewed Jan 2014). http://www.mayoclinic.org/diseases-conditions/gingivitis/basics/definition/con-20021422 (accessed Feb 2016). 2. Mayo Clinic. Periodontitis. Last reviewed Feb 2014. http://www.mayoclinic.org/diseases-conditions/periodontitis/basics/definition/con-20021679 (accessed Feb 2016). 3. NHS Choices. Gum disease. Last reviewed Feb 2016. http://www.nhs.uk/conditions/Gum-disease/pages/introduction.aspx (accessed Feb 2016). 4. Australian Prescriber. Darby I. Drugs and gingival bleeding. Aust Prescr 2006;29:154-5. http://www.australianprescriber.com/magazine/29/6/154/5 (accessed Feb 2016).